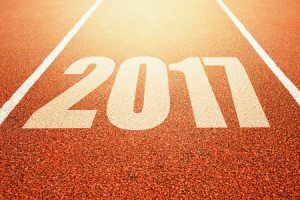 Now that the new year is here, you’re likely setting a number of resolutions for your organization to have a successful 2017. Some of the most common business resolutions include increasing sales, elevating brand awareness and improving relationships with clients. All of these criteria and more can be achieved by setting SMART goals for your company website. What are SMART goals, though? SMART stands for Specific, Measurable, Achievable, Realistic and Time-bound. By following this approach, you will create goals that are focused and set up for the best chance for maximum success. Before you get started, consider the following website goals that will help you be more competitive and stay ahead in 2017. This is perhaps one of the most important goals you can make for your website. You will not be able to increase leads, conversions and sales if you do not get enough new visitors. Having engaging content is key to making this happen. Examine the content you currently have on your site. Are your blog posts and landing pages bringing in enough traffic? Are people consistently leaving comments or interacting with your content in any other way? If not, you’ll need to adjust your strategy. Research your audience thoroughly so you can produce content that tailors to their interests. Also, add high-quality photos and videos to make your content more engaging. Bounce rate is the percentage of users who “bounce away” or leave your site when clicking on another link. In other words, visitors will go to one page of your website for a few minutes or even seconds and then click away because something else was more interesting. To reduce your bounce rate, you will need to set goals to keep people on your site as long as possible. One way to increase your web traffic, as well as engagement with your online content, is to build your email list. If you currently do not have an email list, set up a newsletter and advertise it on your website and social media channels. If you already have a list, you can build it through online contests, ads on social media, and through links on your newsletter sign-up page, blog posts, and your email key signature. You can dramatically increase the amount of traffic and engagement on your website by boosting your social media followers. The best way to increase social media followers is to have engaging content. Also, include links to plenty of blog posts with catchy headlines. In addition, you’ll want to share links to landing pages on your site that allow people to enter free contests. People love free stuff. If you give stuff away for free, you will be able to establish a connection with your audience as well as provide the valuable information your audience is seeking. Consider offering eBooks, prize giveaways, quizzes and anything else your audience is interested in that matches well with your brand. You can also use freebies to build your email list. The best method, overall, to improve the amount of traffic on your website is through elevating your search ranking. Your site will need to include plenty of content as well as highly searched keywords on every page. The speed of your site is also important. Be sure you don’t have too many photos or videos because they can slow down the load time for pages on your site. In addition, the more high-quality sites that link to you, the better your search ranking will be. This can happen naturally if your content is engaging enough. You can also receive more backlinks through guest blog posts and link requests. Overall, setting SMART goals for your website using the guidelines outlined in this article can dramatically improve your website in 2017. With more traffic and engagement on your site, you’ll be able to elevate brand awareness as well as increase leads and sales. You can also position your company far ahead of the competition and that’s always a good thing. 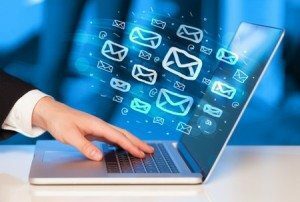 Here are some tips for increasing your email open rates. Crafting the perfect email to send to your large list of subscribers can be intimidating. Saying just the right thing, making it look perfect and everything in between takes a lot of work – and it can be frustrating when your open rate is low. Here are some tips to get more people interested in reading what you have to say. Segment your lists. Ask them when they sign up what type of content they would like from you and then send them that! If a person only wants to know about deals and specials, they won’t even touch your emails after a while if you only send them updates about the company. Send email blasts only when you have something really important to say. People will start to flag you as spam if you flood their email folder with daily, sometimes even weekly, emails that have little to no importance to them. If you are sending relevant information, they will look forward to reading it. Say it in the subject line, but in as few words as possible. Remember, most people are going to be reading their emails on their phone, and this means limited room for a subject line. Put the most relevant information up front so people have no doubt what your email is about, but make it interesting enough that they will want to read it. It’s easier than you may think. You just have to think about it differently. If you’re sending the right people the right messages, then your open rate will increase. Make sure your messages are on target, relevant and what your customers want to read.